The final spot for the highly anticipated Avengers: Endgame dropped on Tuesday just as advance tickets went on sale — and the result was numerous sites being clogged with traffic. The ticket sales broke all first-day records, surpassing the last two Star Wars films, and some even appeared on resale platforms with asking prices of up to $500 (Rs 34,000) each. Online ticket seller Fandango stated that the fourth Avengers movie topped its first-day U.S. sales record within the first six hours of pre-sales, reports Variety. Endgame also set a new record for the best first day of sales in less than half a day at Atom Tickets, the company said. It has outsold the previous record, set by Aquaman, by four times the amount. AMC theaters saw its website unable to process orders for several hours, tweeting on Tuesday, "We’re working on getting things back up and running." The new Avengers movie, which brings together multiple comic book characters - including Iron Man, Captain Marvel, Black Widow, Thor and Ant-Man - marks the conclusion of 22 Marvel films. Fan surveys last year showed it was the most anticipated film of 2019. 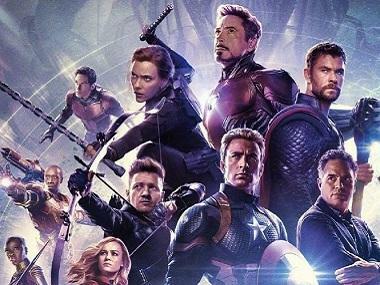 “Avengers: Endgame sales have exceeded all expectations and surpassed Star Wars: The Force Awakens, the previous record-holder, to become Fandango’s top-selling title in its first 24 hours of sales, and it accomplished that feat in only 6 hours,” Fandango Managing Editor Erik Davis said in a statement. Directors Joe and Anthony Russo took to their social media page to react to the news. Sharing a screenshot of the story, they wrote, “Unbelievable. You guys are awesome. #WhateverItTakes." Avengers Endgame will release on 24 April in Australia and China before arriving in the United States on 25 April. It is slated to release on 26 April in English, Hindi, Tamil and Telugu in India.